The Acer laptop that I was so happy with in October 2016 died without warning a couple of days ago. My suspicion is that we had a power surge. The possibility that it was dropped too hard exists too. (Maybe I should consider the extended warranty on the computer next time?) I'm writing this to follow up on my previous review on the Acer laptop. It only seems fair to give you updates when something happens. The laptop was my trusty electronic steed from October 2016 - March 2018. It survived being dropped and banged around. Most people would find a 1TB hard drive to have plenty of space. Videos forced me to get an external hard drive. This is a vlogger's problem. Most people will be fine for a long time with a hard drive that size. It's no understatement when I say the laptop died without warning. Uploading HD video takes forever so I usually upload it overnight. I put the Acer Aspire laptop on the kitchen table like usual and began the upload process. Nothing seemed amiss until the next morning. At some point in the night the computer shut down and the upload failed. Nothing happens when I try turning the Acer on. I've begged, pleaded, cursed and thumped it without luck. There is no power. The cord seems to work fine and it fits snugly in the port without wiggling around. My suspicion is that the computer has either a bad internal power pack or that a wire broke inside the computer. I'm taking a friend's suggestion of going by the college IT department to see if they will help on a private computer. Hopefully they can at least steer me in the right direction. I still feel like the Acer has been a good laptop for me. Microsoft Office ran smoothly. The computer processed thousands of hours of video and was usually running other programs alongside Windows Movie Maker. The size and weight were problematic. I underestimated what a 15.6" screen size actually is. Fitting the Aspire in the messenger bag with the textbooks and my Kindle was hard. Plus, my back problem protest against the weight. Otherwise, the Acer was fine - until now. However, the large screen was fairly crisp and the on-board microphone did acceptable voiceovers and podcasts. 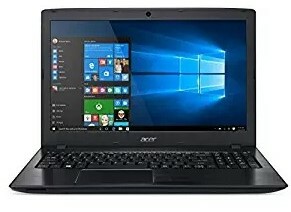 Would I buy an Acer again? Maybe. It will really come down to weight, horsepower, hard drive space and the all-important price tag. Those are the characteristics that matter most to me. Brand loyalty is second or third place. We'll see how the shopping goes.